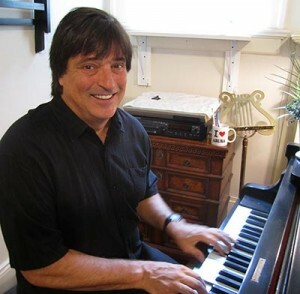 Carl is an accomplished pianist with fluency in all genres of music including: classical, jazz, blues, contemporary, pop, Broadway, and sacred among others. A graduate of the University of Indiana, he’s been active both regionally and internationally as a professional musician for over 2 decades. He’s composed for ESPN, The World Health Organization, Georgia Public Television and many other clients. Whether you have a low, medium or high budget project that needs music I can tailor the composition process to your needs. To have a chat about musical ideas for your next project please give me a call or email. Carl began to seriously compose at 15 and went on to earn his music degree at Indiana University. He studied voice with Carlos Montanae and Camilla Williams, and jazz piano with David Baker. While at IU he wrote, recorded and produced ten original songs utilizing their state of the art studio and the excellent student string & horn talent. Moving to Atlanta, he studied for ten years with long time Berkley professor and jazz piano great, Ted Howe. He continues to write, perform and record jazz throughout Atlanta. Testamonial showcases Carl’s vocal versatility and singer/ songwriter talents. The music is a blend of British pop, progressive rock, and ballads with vocal harmonies inspired by the Beatles and CSNY. The song ‘Blind with Passion’ features the guitar of Ryan Waters of the band “Sade”, and bass player Kamaal Malick of the band ‘Arrested Development”. Carl wrote, produced and performed all vocals. Midnight Drive is a blend of instrumental jazz, new age, and R&B influences. All music is performed by the band Forte, and the compositions are inspired by jazz artists Bob James, George Winston, and Liz Story. Carl wrote all the string and horn arrangements for the album.